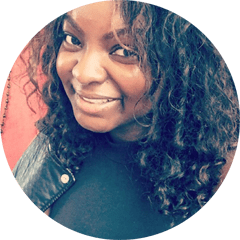 In March my friend Latrice began telling me about her Whole 30 Experience. After many conversations, I reluctantly decided to try it. I didn’t want to but I needed a major change. TMI: I was insanely bloated, constipated, and beyond gassy. I of course wanted to drop a few pounds but more than anything I wanted to change my mindset around food. So I set out to find out the things I could eat and it wasn’t much. 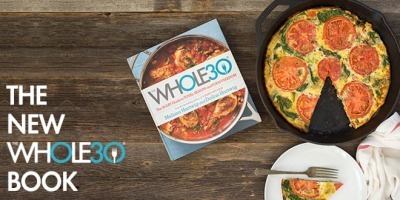 For those unfamiliar,Whole30 is a 30-day diet that emphasizes whole foods, during which one eliminates sugar, alcohol, grains, legumes, soy, and dairy from their diet. April 2nd I went cold turkey. I could have any meats, any veggies, any fruit (within reason), potatoes and tree nuts (no peanuts). Nothing processed, no added sugars or nothing of that nature. Whole foods ONLY. The first two weeks were hell. I will openly say I’m addicted to sugar. My love for sweets and carbs is the main reason I decided to do this. I’m the kind of person who’s better at giving up something completely rather than practicing moderation. I found myself fulfilling my craving with fruits, nuts or in most cases Whole30 approved Lara Bars. Lara Bars are basically how I survived no sugar. My favorite LaraBars were the pecan pie (literally tasted like pie), coconut cream pie, the chocolate coconut chew and a pineapple bar not listed below. These fulfilled my snacking and sugar needs. The other part of the time I ate blueberries and strawberries. Taking bread out of my diet wasn’t a huge issue for me but consciously making sure there were no sugar in my food made me realize one main thing: SUGAR (or sweetener) IS ADDED TO EVERYTHING. It was frustrating to look at so many labels and see sugar or fructose and etc added. That was my biggest struggle but the most eye opening part of this experience. Have you every picked up a pack of bacon and checked the sugar contents? If not, you should because even regular bacon has sugar. Of course dressing has a lot of sugar. A brand I love and have been eating for some time called Tessamae has Whole 30, Paleo & Vegan approved options. Also Siete is another favorite brand for tortilla chips and shells. Now these aren’t necessarily Whole30 approved because you shouldn’t be substituting carbs but if you really want guac and chips this is a great alternative (or plaintain chips work too but check the sugar!). My favorites are the Lime chips. Eventually May 1st, my my last day arrived. At the end of this I had very little gas, no bloat, no upset stomach and oh I lost 11 pounds. During this 30 day period I didn’t work out at all. I decided to continue to the 6th but had a little wine here and there. See I was headed to Vegas on the 7th for a week, so I knew it was going to be a sh*t show. & Literally it was. My first night in Vegas I had a shake and I was okay. The second night in Vegas I had gelato and my body said “No ma’am.” I woke up at 5 am with the worst case of diarrhea. So yes, literally a sh*t show. I chalked it up to just having not had dairy for a while. The following two days I repeated this and my body repeated rejection. It was the 3rd day I realized or rather reluctantly admitted, I may have a mild lactose intolerance. Weeks later I had my favorite drink at Starbucks (Double Chocolaty Chip with Peppermint & Soy Milk) and it was accidentally made with milk. Immediately I felt my stomach aching confirming this intolerance to diary. In addition, I learned something about my body and bread. I recently ate pretzel bread on a burger and within an hour my stomach began to hurt. Any other time that I’ve eaten bread prior and since I’ve had stomach pain or gas. This has led me to realize I may have a mild glutton intolerance. As time has progressed I’ve began to really “listen” or rather take note of the way my body responds to food. Although I feel that Whole30 may not be the most sustainable or rather enjoyable lifestyle, it is something worth trying. This experience has helped me make conscious eating decisions more often. I’ve grown a mindfulness when it comes to eating that I’ve never had before. I created some amazing recipes that I’ll share in the coming weeks. Overall, I’m grateful and very happy I tried the Whole30 experience. Have you tried this? Would you do it again?